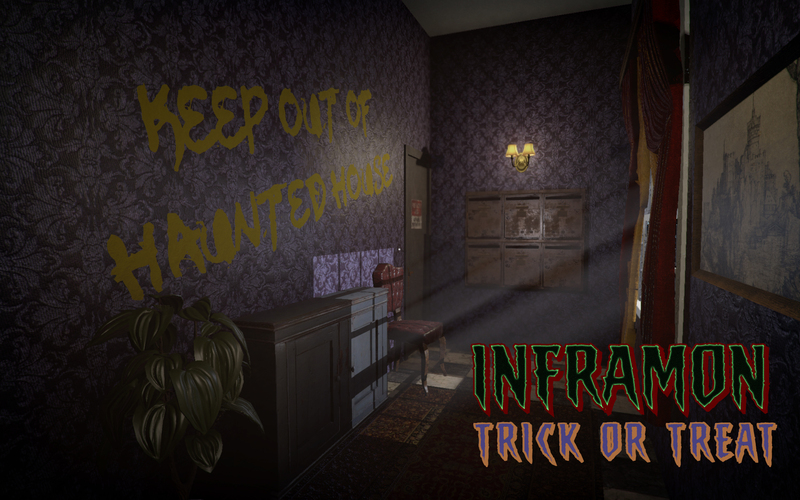 Drop Of Pixel launchs 'INFRAMON: Trick or treat', a very special game for Halloween to celebrate the recent greenlit in Steam Greenlight of "INFRAMON: The Old Darkness", a terror experience blending adventure and puzzle elements to tell a horror story in old haunted manor and based in the worlds of H.P. 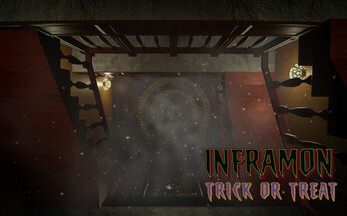 Lovecraft and structured like a dynamic 'Escape Room'. 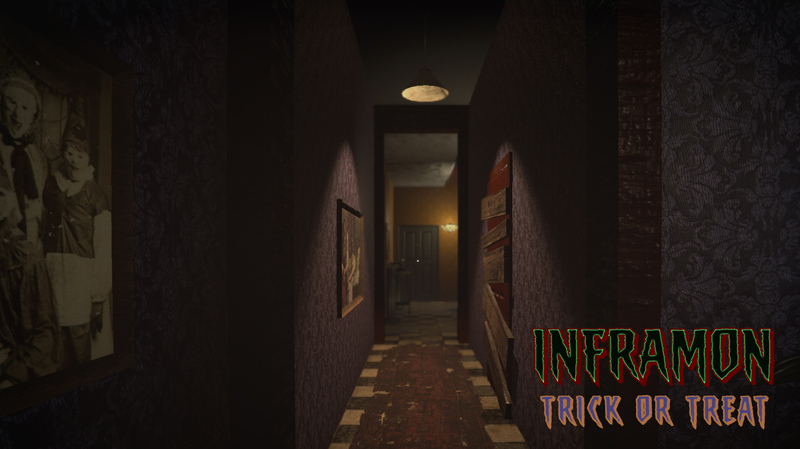 'INFRAMON: Trick or Treat'is a first person horror game designed especially for Halloween and based in the legend of the stingy Jack. 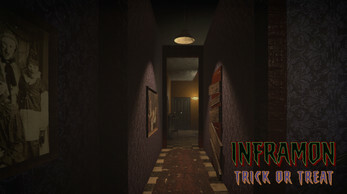 The game is FREE and available for PC. Drop Of Pixel wants to celebrate by this way the greenlit got for his game 'INFRAMON: The Old Darkness' in only eleven days recently. 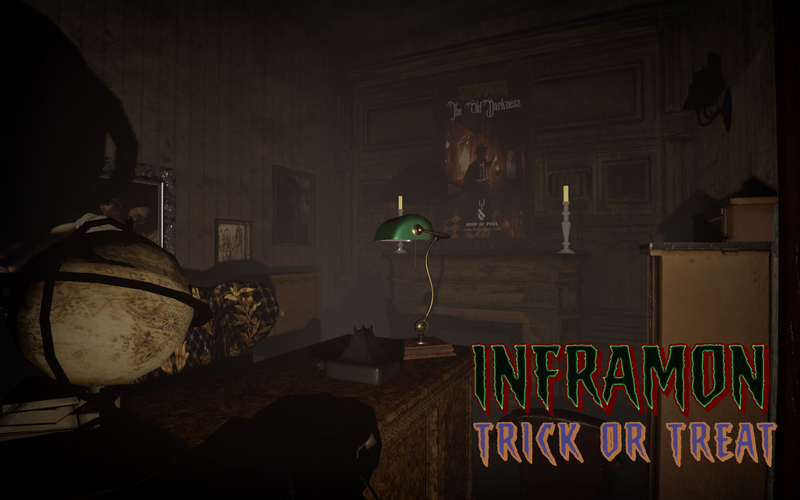 The only requisites to play 'INFRAMON: Trick or Treat' is a PC with mouse and keyboard, be clever and little skilled. 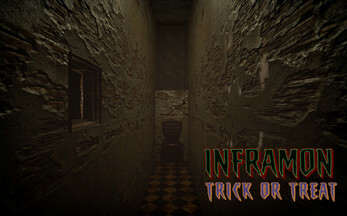 This game is not easy. Only donwload, uncompress and play!